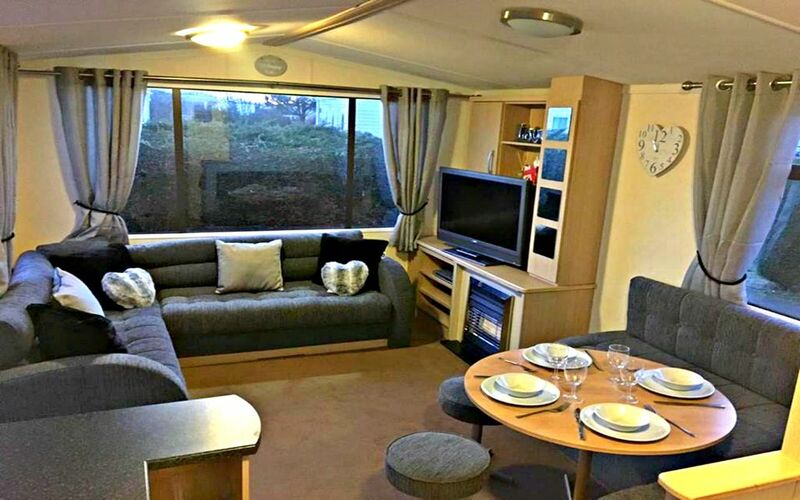 Our lovely homely caravan is situated on the luxury southview holiday park in skegness. We have 3 bedrooms, 2 twin rooms and 1 double room. we also have a pull out couch in the living room which means you can fit upto 8 guests in one stay (Linen not included and can be added for £25). We have a lovely modern spacious living room with large television and electric fire. Within that we have a dining area where you can have lovely family meals and make unforgettable family memories. Southview Leisure Park is jam packed with entertainment for everyone with daytime and night time entertainment. The beautiful park is well maintained and has amazing customer service with smiles everywhere.